In the FLW rating Chinese is a triple winner. 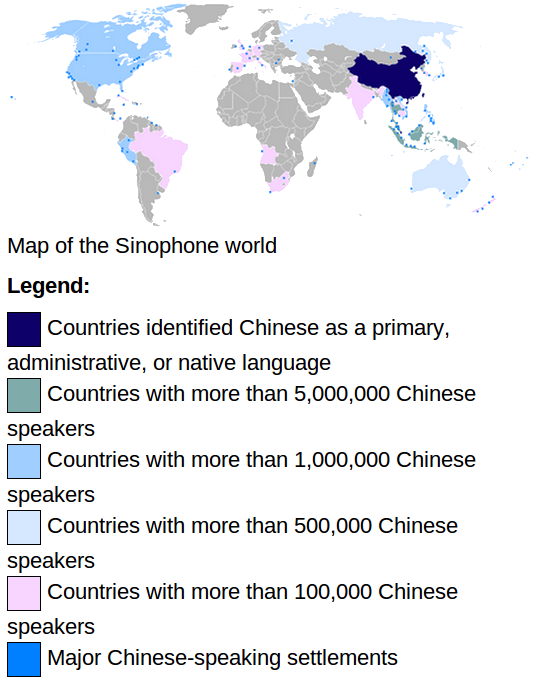 First of all as an absolute leader in the language race in the “Number of native speakers” category with its 1.2 billion of people speaking Chinese. At the other hand Chinese is one of the oldest languages first mentioned 3000 years ago and even older considering its prototypes so-called Sino-Tibetan proto-language. People speaking Chinese inhabit a huge territory around the globe from China with vast majority of native speakers via such countries as Thailand, Malaysia and Indonesia with over 5 million Chinese speakers to the U.S.A., Canada, Burma, Peru and Vietnam with over 1 million of Chinese speakers. Considering the Chinese economical boom the language is becoming a must as a second or third language for people serious about their career. Foreign Language World provides opportunities to learn Chinese in China. Our language courses run year round with courses beginning every Monday for those who already have some knowledge of the Chinese language and for beginners. With a communicative approach to language learning, our Chinese courses provide dynamic and engaging lessons where your progression can be measured on a daily basis. Please take a moment to learn more about studying Chinese at FLW Chinese schools in China. Details on our schools in China can be viewed via the links below as well as a general overview of course and accommodation options along with school accreditation details.